Cut the Rope brings 25 new levels in a free update as it continues to chase Angry Birds as the world's leading physics-based app franchise. The Toy Box 1.1 update is available now. Did you complete Cut the Rope months ago and have since been eagerly awaiting new opportunities to feed the loveable monster known as Om Nom? Well today is your lucky day. Developer ZepoLab has launched the Toy Box Update 1.1 for the physics-based game, which promises 25 new levels and new ways to ensure Om Nom gets his beloved candy fix. 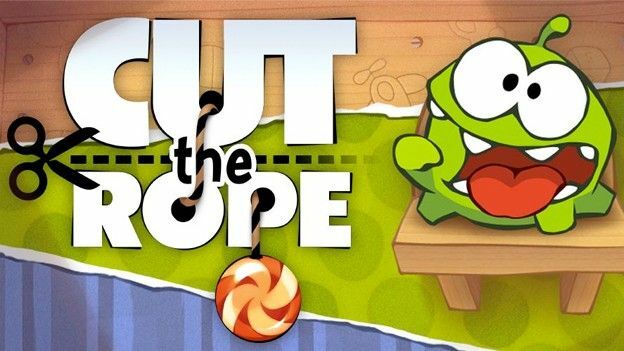 The Toy Box Update has already appeared on iOS devices so this is the first time that Cut the Rope addicts have been able to extend their gaming beyond the initial offering on Android since its launch in June. For those of you unfamiliar with Om Nom's meteoric rise to app-land supremacy, the idea is to ensure a sweetie makes it into the gob of the lead character by cutting cables in order to swing it in the right direction. You'll make use of bubbles, trampolines and the like and collect stars along the way. The Toy Box Update is free for all users who have already downloaded the game, and just 62p for newcomers. It's available on the Android Market now and if you want to win an Om Nom plush toy, check out the Facebook page.